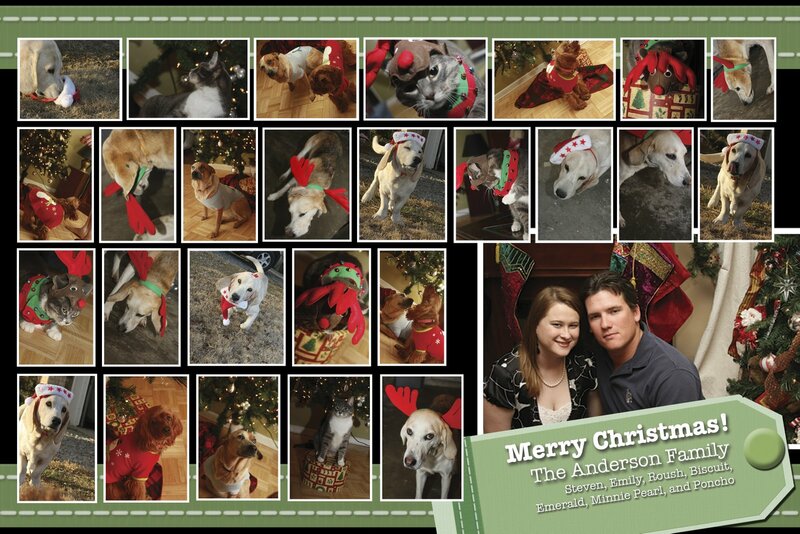 UPDATE: Please note that our Christmas card this year was a collage of images of my attempts to get good Christmas photos of our five pets. We do not have 20+ animals, even though it may seem like it at times. Also, I need to mention that the names on the card are not in order of the last row of photos. Oops! L-R they are, Biscuit, Emerald, Roush, Minnie Pearl, and Poncho.